With just two weeks to go until International CES 2015 begins, the excitement is building and the communications and rumors are coming fast and furious. 1. Even more interesting applications for Bluetooth with the recently announced 4.2 Bluetooth standard. Promising more speed, even lower power usage, and better security, 4.2 positions Bluetooth to be a major participant in the Internet of Things. 2. Good 3D printing options for $1,000 and under. Up until now 3D printer buyers have had a choice between inexpensive or good - I expect some vendor (perhaps MakerBot) to change this with an announcement at CES. 3. A continued progression toward actual 4k content options instead of just the (admittedly gorgeous) 4k displays. I call this the "Elephants versus Top Gun" problem and it happens with every new viewing standard. The elephants (or parrots) are the video that some manufacturer goes and shoots at the local zoo early on to demonstrate the quality of the new standard because there is little or no mass-market native material. When you see Top Gun on one of new displays, that means that the native content is actually here. I'm hoping for some meaningful announcements in this area. 4. I find it a little amazing that we still talk so much about televisions at the end of 2014, but I am very interested to see whether manufacturers will be pushing curved televisions as hard at this coming CES as they did a year ago or whether they will be trying something else to separate folks from their funds. We do know that Vizio has decided that they will not be going curved. 5. Rounding out of notebook and tablet offerings based on Intel's Broadwell microprocessor technology. Intel might talk about the next-generation Skylake technology at CES, but any device that is going to coming to market in the first half of 2015 will be running Broadwell. 6. Interesting accessories for Apple's recently released iDevices. We expect the usual cases and battery sleeves for new iPhones and iPads, but I also expect some brand new ideas enabled by things like the presence of NFC in the iPhone 6 and iPhone 6 Plus. 7. Further coherent integration of smartphone and telematics from major automobile manufacturers such as Audi. Over the last year or so, manufacturers seem to have finally figured out that the average age of a car in the United States is about 11 years, while the average age a smartphone is closer to 2 years. 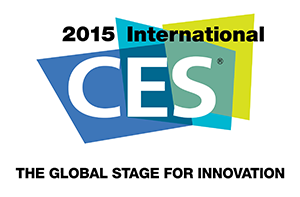 Mac Edition Radio will be following up in a few weeks with a report on what actually happens at CES 2015. Until then, Happy Holidays!